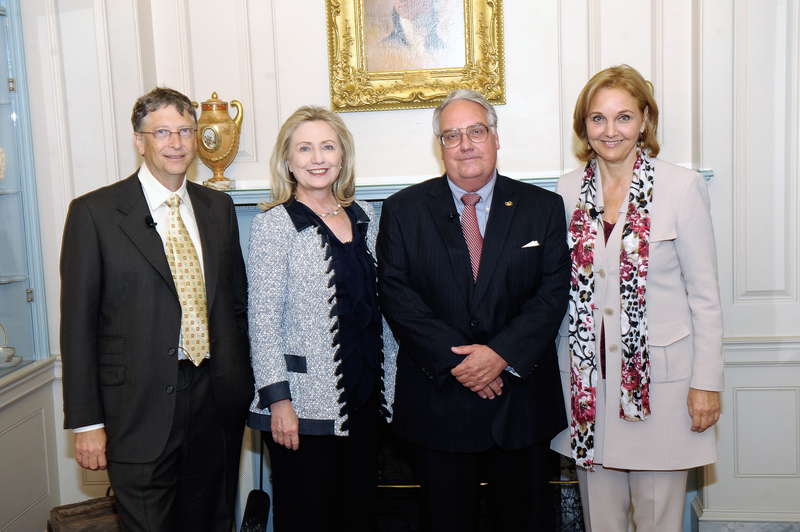 Philanthropists like Howard Buffett are the darlings of journalists and the NGO world — but are they really helping Africa? Indeed, having invested in a range of initiatives including hydroelectric power plants, road development, and eco-tourism, Howard Buffett is considerably involved in the east of the country. The photographer, farmer, sheriff, former director of the Coca-Cola Company, and son of the third richest man in the world, has poured millions into the region. The hydroelectric project was the first stage in an investment program the Congolese national parks authority (ICCN) and the Virunga Foundation, a British charity, drew up together. In 2015, Buffett reportedly pledged an additional $39 million toward two more power generation facilities, and the Virunga Foundation plans to fund more plants, hotels, and infrastructure projects around the park over the next years. In an interview with Reuters, the park’s director, Emmanuel de Merode, said that these initiatives, especially the power plants, will create employment opportunities for communities surrounding the park. And Buffett’s investments don’t stop there; across the border in Rwanda, his foundation stated in 2015 that it was investing $500 million over ten years in order to “transform” the country’s agriculture “into a more productive, high-value, and market-oriented sector.” So far, the foundation has focused on food security projects, with 67.5 percent of its 2015 contributions funding this sector. These investments seem laudable. Who can object to improving food security in rural Rwanda or building hydroelectric plants in the DRC’s Kivu region, where basic infrastructure is limited and only about 3 percent of population has electricity? What better way to support the region than by funding power plants and preventing people from cutting down trees for charcoal? To answer these questions, one must first ask: who exactly is Howard Buffett? This entry was posted on Tuesday, August 14th, 2018 at 00:01	and is filed under Uncategorized. You can follow any responses to this entry through the RSS 2.0 feed. Both comments and pings are currently closed.